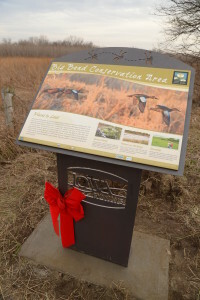 A new interpretive sign was installed along the Iowa Valley Scenic Byway at Big Bend Conservation Area, north of Marengo. The Iowa Valley Scenic Byway is a 77-mile state-designated route from Montour to the Amana Colonies. It travels through 14 communities. The new sign is one of many projects led by the Iowa Valley RC&D and the Iowa Valley Scenic Byway Board. 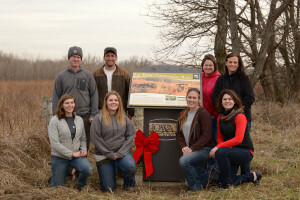 The new colorful signs placed along the byway are intended to connect travelers with local resources. 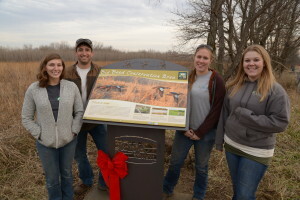 The sign at Big Bend Conservation Area shares information about wetland restoration. 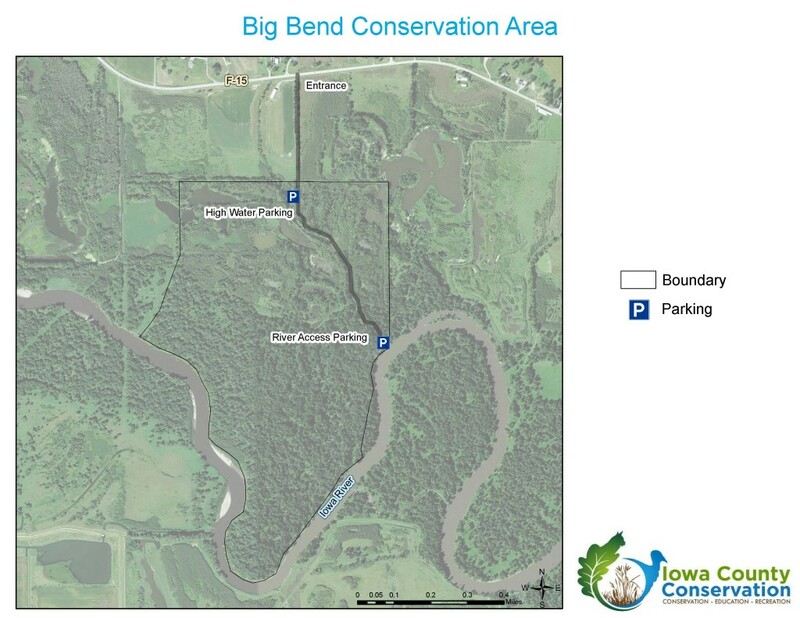 Big Bend has around 360 acres: 100 acres of wetland, and the remainder in low-land timber with large silver maple trees. The property has typically been subject to littering, vandalism, and illegal harvesting of wildlife/timber. 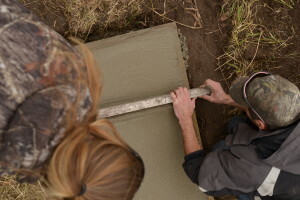 Iowa County Conservation has received a grant to get some extra help to clean up the property. Hopefully, with the watchful eye of civilians, and additional help from other law enforcement agencies, Big Bend Conservation Area will return to a thriving wetland that can be used by hikers, anglers, and responsible hunters. If you see illegal activity, report it immediately, call 911. If you want to report potential issues or have questions, call 319-655-8465.